Little Rock, AR, July 17, 2017 — Datamax Arkansas was recently named as one of the Best Places to Work in Arkansas. This fifth annual program was created by Arkansas Business and Best Companies Group. This survey and awards program was designed to identify, recognize and honor the best employers in Arkansas, benefiting the state’s economy, workforce and businesses. The list is made up of 36 companies. Datamax Arkansas has been named one of this year’s Best Places to Work in Arkansas. "At Datamax, we are all about Creating Raving Fans® in everything we do — with customers, with the community, and certainly with our employees. 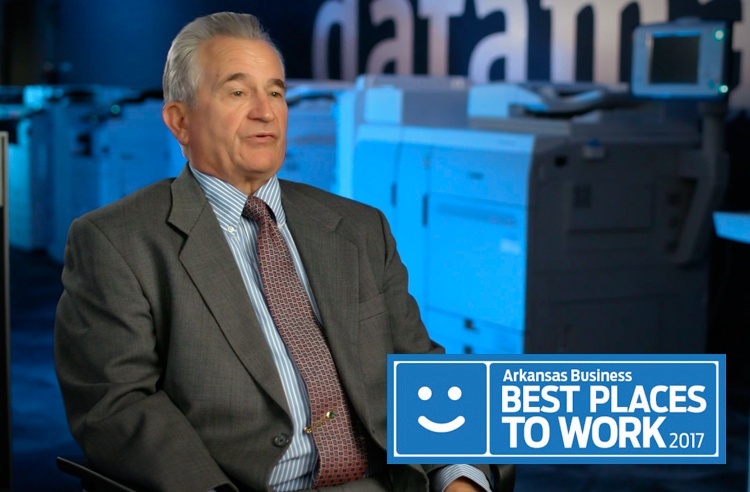 We are excited that such efforts are being noticed in the Arkansas Marketplace," says Barry Simon, President, Datamax Inc.
Companies from across the state entered the two-part survey process to determine the Best Places to Work in Arkansas. The first part consisted of evaluating each nominated company's workplace policies, practices, philosophy, systems and demographics. This part of the process was worth approximately 25% of the total evaluation. The second part consisted of an employee survey to measure the employee experience. This part of the process was worth approximately 75% of the total evaluation. The combined scores determined the top companies and the final rankings. Best Companies Group managed the overall registration and survey process in Arkansas, analyzed the data and determined the final rankings. For more information on the Best Places to Work in Arkansas program, please visit www.BestPlacestoWorkAR.com.